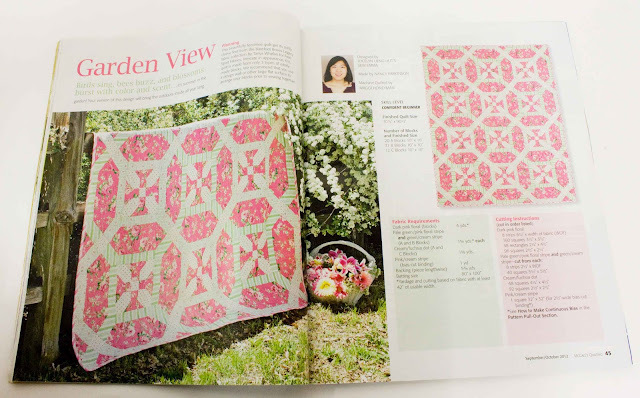 A new quilt I designed for It’s Sew Emma has just hit newsstands in McCall’s Quilting September/October 2012 issue, and I’m ecstatic! It’s called Garden View, and it is such a beauty. There are so many good reasons to fall in love with this quilt. 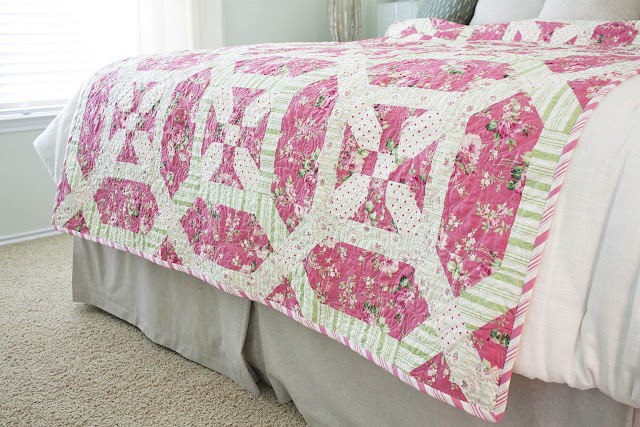 The design has a very intricate look but is set at a beginner skill level. You will be surprised at how easy it really is. And with only four fabrics, matching fabrics is not an issue. The quilt featured finishes at a grand 70” x 90”, great for a twin-sized bed, but can easily be expanded for a larger bed. 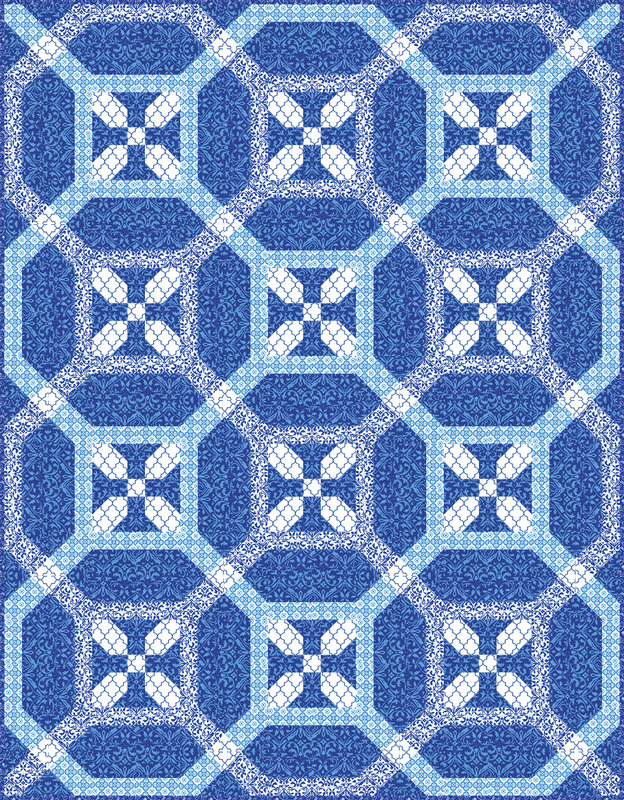 I also love the traditionality that comes with pairing this design with Barefoot Roses fabric. I was thrilled when Free Spirit re-released it as a legacy group! It takes me way back to 2007, when I had just started at Fat Quarter Shop. Tanya Whelan was one of our first designers on the Jolly Jabber, and she blogged on her very first group, Barefoot Roses! The appeal of her fabrics has certainly lasted, and I was glad that the two married so well. 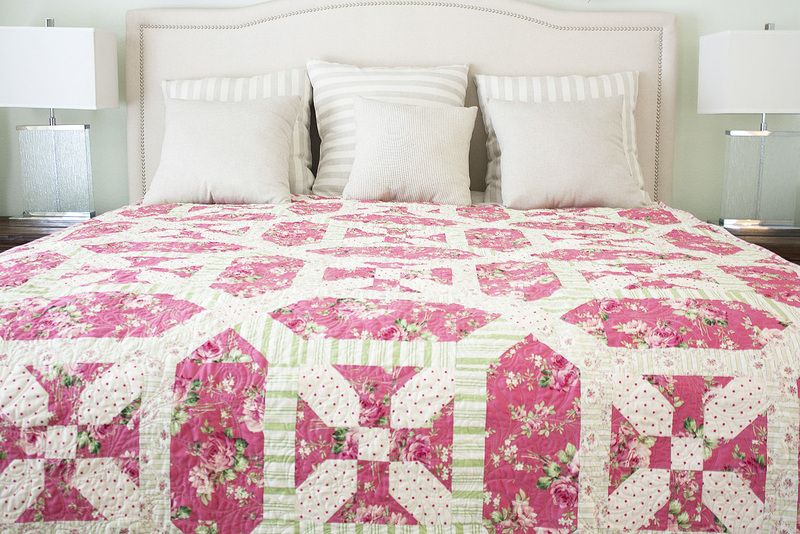 If pink and green aren’t your thing, this quilt can still work for you! 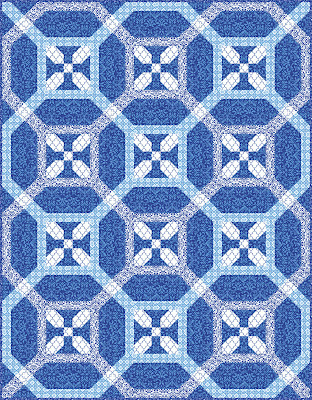 Here it is in blue, just because I love blue. 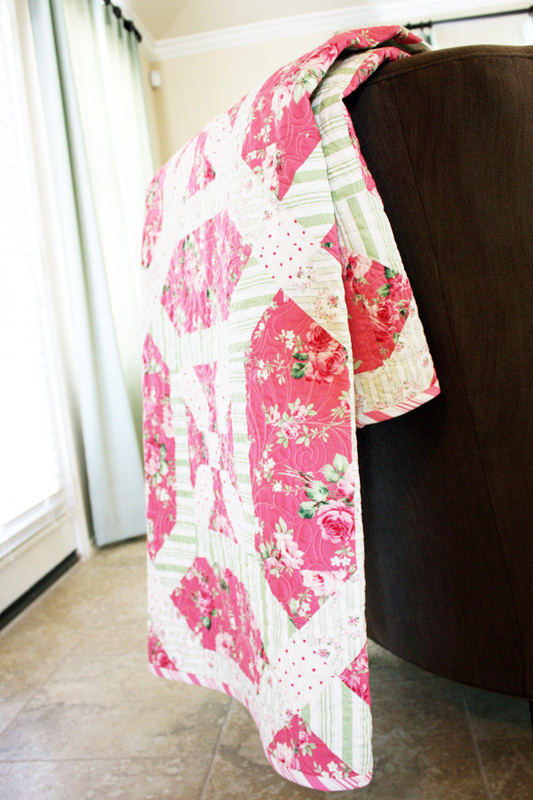 If you’re wondering, the fabric is Spa by Deb Strain for Moda Fabrics, due out this August. What fabric collection or colors would you make this with?